Acrylic prints are one of our most popular products. The technical name for the acrylic is cast polymer and is colorless and transparent. The standard finish if clear gloss but we can produce it as a non-glare finish. This is agreat substitute for glass and is quite a bit less expensive.It is available in virtually any size or shape. 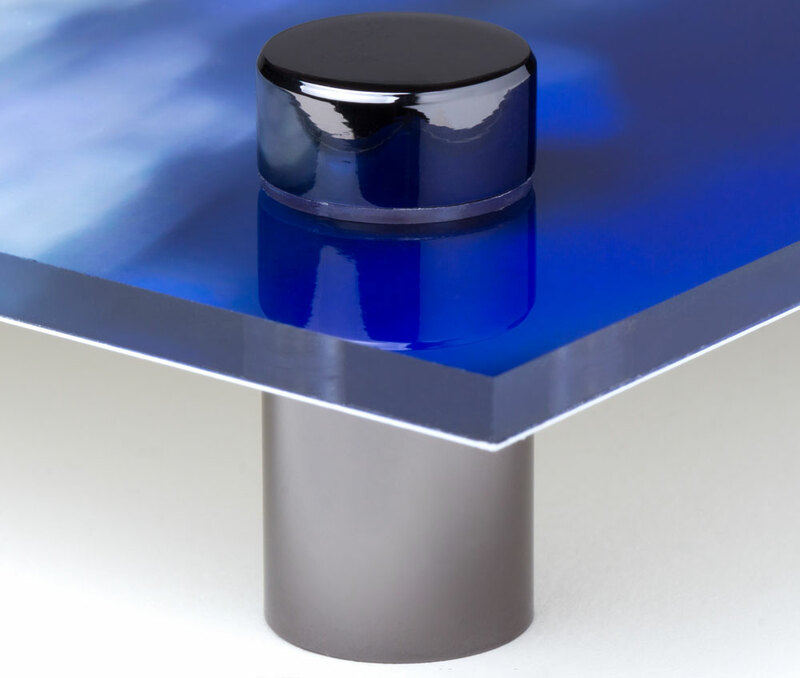 A small version of the product, aptly named an acrylic block is perfect in a desktop setting in an office. Larger versions of acrylic signs, up to four feet by ten feet are perfect for perfect as a wall mural and is popular in quite a few University of Arizona locker rooms. Sometimes these are used as awards, other times simply as an attractive work of art or family photo. Each image is printed with ultra-durable UV ink on the reverse or back side of the acrylic. There is no higher resolution standard than that of Graphic Impact. We choose to partner with Hewlett Packard who is the equipment supplier of choice in the this field. Graphic Impact acrylic prints are never outsourced and are produced locally in Tucson, Arizona. Each is customized to your application. And great care is taken to assure the quality and timely delivery. Founded in 1989, we are a local Tucson, Arizona company with over 20,000 customers. Not just a website but a full manufacturing facility. It is well worth your time to visit us and experience our many capabilities. Please allow us to put our experience to work for you on your next project. Acrylic blocks are a simple task. They are sturdy and with a base sit on a desk top or table. We always stop short of calling them unbreakable but they can withstand quite a bit of abuse. Larger pieces are attached to walls with double sided tape, but many are floated (see photo). This relieve the acrylic .25 to .5 inches from a wall, and as the name implies the images appears to be floating.